Regulatory technology (RegTech) refers to technology that assists companies to meet growing regulatory requirements. Banks are set to invest more in RegTech in 2019, because they see it as a cost-effective and efficient way to respond to growing regulatory complexity around AML and KYC requirements. Banks are investing more in RegTech year on year and this is likely to continue in 2019. Bloomberg predicts global investment in regulatory, compliance and governance software will reach nearly $120 billion by 2020. While G2 estimates a 500 percent increase in RegTech investment in the financial services sector between 2017 and 2020. RegTech’s rise is also reflected in the number of start-up companies who have formed to offer these services. A report by Alvarez and Marsal documented a recent “rapid increase” in RegTech start-ups, noting that many focus on specialist products for a single regulatory area, including regulatory reporting, KYC and market monitoring. “We believe that targeting cost reduction will continue to be a key driver of innovation in RegTech,” they wrote. As more banks adopt RegTech, we can expect global financial authorities to pay more attention to the technology in 2019. 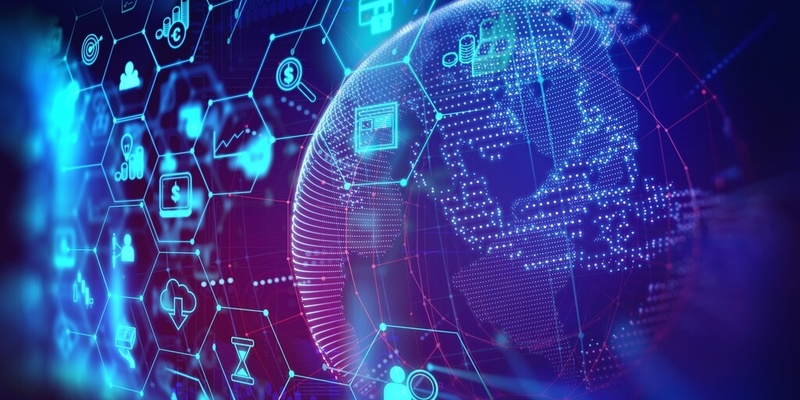 The UK’s Financial Conduct Authority (FCA) and the Monetary Authority of Singapore have already provided guidance to banks around the development of new technologies. We will see more regulators actively working with RegTech companies and banks to ensure the technology is helping them to meet regulatory requirements. The Australian Securities and Investments Commission have launched an innovation hub to engage with companies, and regulators in Singapore and Hong Kong have made similar moves. As Christopher Woolard, Director of Strategy and Competition at the FCA, said: “We will look to encourage innovation and adoption in technology through our RegTech work, working collaboratively to unlock the complexities and costs of regulation in new and creative ways”. A major driver of the rise of RegTech is that regulatory requirements on financial services firms have grown since the 2008 financial crisis, leading to significant enforcement actions. The world’s 20 largest banks paid more than $235 billion in fines between 2008 and 2015. Banks were met with another layer of complexity in 2018 when the General Data Protection Regulation imposed new rules on managing customer data. In response to this trend, banks have invested more and more in compliance – JP Morgan and HSBC employed 7,000 extra compliance staff between them in 2013. But RegTech offers a more efficient way to respond to sprawling regulation. The UK’s impending departure from the European Union in 2019 could add another layer of regulatory complexity for banks operating in the UK and Europe. If the UK does introduce new rules affecting regulatory compliance in the banking sector, it is likely that more banks will turn to RegTech to streamline their processes. It is therefore unsurprising that UK RegTech companies occupied 30 places in this year’s RegTech 100 ranking of the top 100 most innovative RegTech companies in the world. Another increasingly important factor driving the adoption of RegTech is the growing evidence that it offers an impressive return on investment. RegTech firms have shared case studies which demonstrate the cost-cutting power of technology. When FinTech firm Fenergo was engaged by a global investment bank, it found that the bank’s KYC client review process was done manually, taking thousands of hours of staff time to complete. When RegTech software was embedded in the KYC process, it led to a 37 percent improvement on case handling time and efficiencies. IBM had a similar result for HypoVereinsbank, delivering efficiency savings of 33 percent after automating its risk and control reporting processes. The Dutch bank Rabobank has used a RegTech risk management solution that reduced 15-minute compliance checks to only three minutes. As these case studies are more widely shared, we should expect more banks to follow. But efficiency savings are not the only benefit of RegTech. Automating processes and supplementing internal data with key compliance-related datasets, such as Sanctions and Watchlists, enables companies to gain new insights into risks, proactively manage threats and respond to regulators’ requests for information more easily. Will your organization be joining the RegTech crowd in 2019?